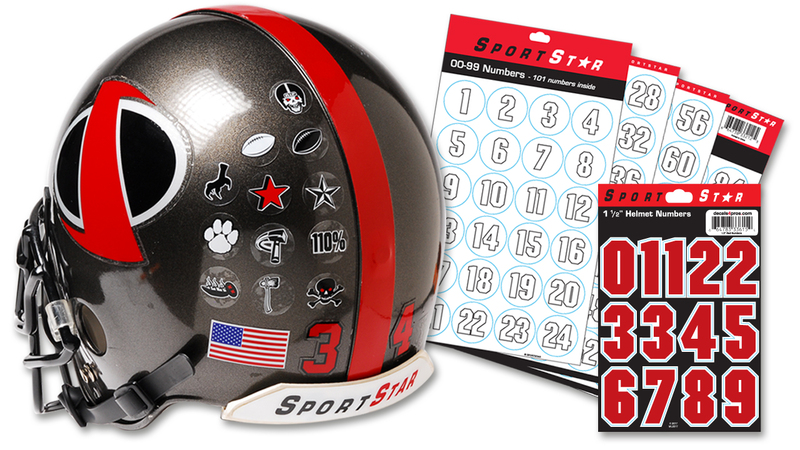 SportStar decals are bright, durable, easy to apply and easy to remove. Chose from a variety of stock numbers, awards and stripes, or get a quote on a custom package for your team. All decals are printed on durable vinyl with a clear vinyl overlaminate for extra protection, cut to shape, and ready to apply.